Funding is available for eligible members of the construction industry. If eligible, pay only $100.00 - save $225.00! Check your eligibility and apply now. Nominated supervisors are legally required in both friable and non-friable asbestos removal jobs (see circumstances below). Successful completion of this unit is required to be deemed a supervisor. This unit specifies the outcomes required to supervise the removal process for friable and non-friable asbestos containing material (ACM). The unit includes planning for and supervising the removal process, including preparing the work area and the work site, using safe and compliant removal practices, maintaining safety procedures, and supervising the decontamination and removal processes. Supervise testing, compliance and documentation in consultation with the licensed asbestos assessor and the asbestos removalist. Oversee removal and decontamination processes. When is a supervisor required? 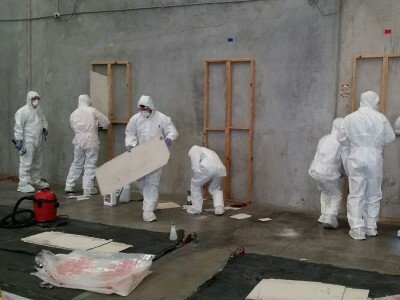 A ‘class A’ asbestos removal licence is for businesses removing any amount of friable asbestos (material that contains asbestos and is in a powder form or that can be crumbled, pulverised or reduced to a powder by hand pressure when dry). Class A asbestos removal licence holders must ensure the removal of friable asbestos is directly supervised by a nominated supervisor. 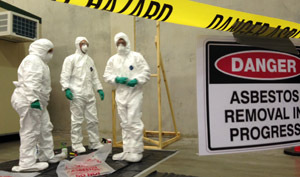 Nominated supervisors for class A asbestos removal work must be at least 18 years old and have at least three years or relevant industry experience. The nominated supervisor must also have certification in CPCCDE3015A Remove friable asbestos and CPCCBC4051A Supervise asbestos removal. 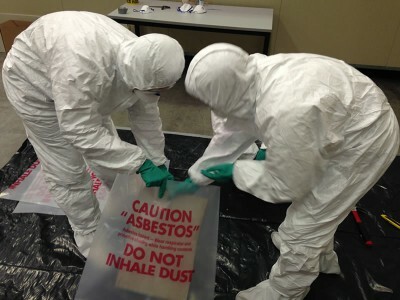 Where class B asbestos removal work is being carried out by more than one person, the licence holder must ensure a supervisor is readily available to the workers carrying out the asbestos removal work. A class B asbestos removal work supervisor must be at least 18 years old and have at least one year of relevant industry experience. The supervisor must have certification in CPCCDE3014A Remove non-friable asbestos or CPCCDE3015A Remove friable asbestos. Once I have completed this training, do I have to apply for a supervisor licence? No. You will need to hold either a class A or class B licence (depending on what type of asbestos removal you will be supervising). Successful completion of this unit of competency is all that is required to be deemed a supervisor. No additional licence is necessary. Queensland - Your time is up! The transitional arrangement permitting holders of valid bonded (non-friable) asbestos removal certificates issued under the repealed WHS Regulation 2008 to supervise Class B asbestos removal work expired on 31 December 2014. 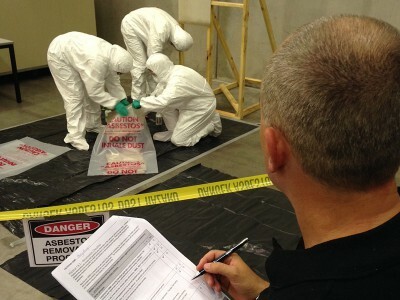 Supervisors must hold CPCCBC4051A - ‘Supervise asbestos removal’. If you do not provide these by the business day prior to your course commencement, your enrolment will be cancelled, and you will not be permitted entry to the course. If this occurs, our terms and conditions will apply and therefore your course fee will not be refunded nor held in credit. NOTE: If your White Card was issued prior to 11 May 2009, we cannot recognise this as a valid prerequisite as it does not prove that you were assessed against the CPCCOHS1001A unit of competency. NOTE: Our Supervise Asbestos Removal course typically runs the day after our CPCCDE3014A - ‘Remove non-friable asbestos’ program. 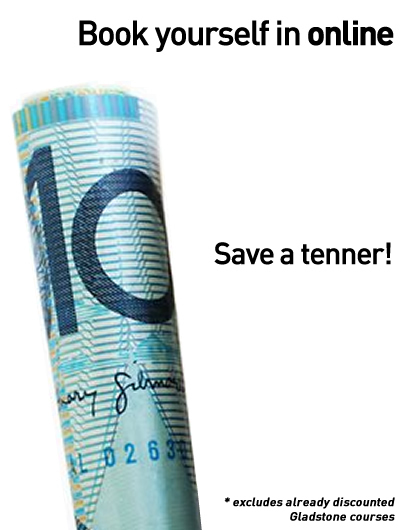 Call us on 1300 990 810 to book in to both courses.